A New Edition of CP will be available on September 18, 2018 — with a new “Breakthrough” Afterword. It’s been somewhat of a secret, but last spring, I received a CALL from my editor. She continued. “We want to re-release the book with a NEW EDITION for all the new readers… and with an extensive Afterword on how to “live the Insights,” written by you. And if millennials and their older children are beginning to adopt the book, it isn’t a complete surprise. These two generations are both huge, and together already represent the majority of humans on Earth. And both groups are in mass reaching the age where one asks the “Big Questions” about life. The leading bulk of Millennials are moving past thirty, where the sometimes harsh reality of making a living and raising children demands solutions. CP addresses these issues. “The truth,” I replied. 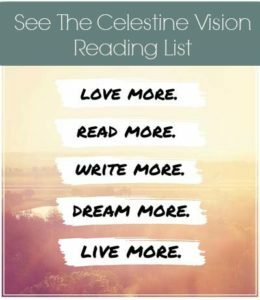 “How to hang on to the higher experiences they read about in The Celestine Prophecy and other books. ALL OF THAT, of course, was last spring, and as we now reach the Date of the Re-release, September 18, 2018, the afterword has been finished – focusing on applying the new spiritual abilities that I believe are coming into human awareness. 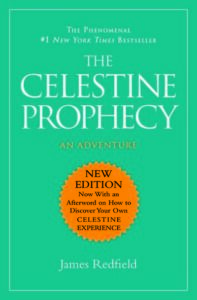 “So…You’ve read The Celestine Prophecy. What happens next?… You realize that the book is a vision of how human life can evolve in the future —after all, the book IS a prophecy — but readers also have questions. “We figured out that…emotional hurts… anger and anxiety from the past are very difficult just to get over, no matter how much we talk about them..
And there is a lot more on what I’ve learned that is applicable now! PASS-A-LONG THIS INFO TO MILLENNIALS AND OTHERS!